Today, I had taken a day off from work. Today, out of the blue, I had decided to make some bread. I got out my favorite recipe for bread dough, along with all the equipment and ingredients. Today, I’d take the time to make a treat for my Dad and my husband. One pan of dinner rolls and a pan of cinnamon rolls (with orange zest, dried cranberries and walnuts). Today, I’d spoil my family. 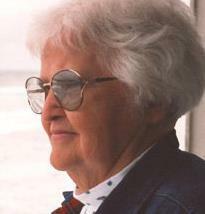 Today, again, I’d honor my wonderful memories of Mom, Helen. Today, I’d do something she loved to do. She was a good cook and quite a baker. More than that, she loved doing things for her family. She really loved her family. She guided us through or over or around many of life’s obstacles, shared in our joy of accomplishment and always helped us to succeed. She was the compass of our family, a great influence on my life and the lives of so many others. I am happy to be her daughter. After being diagnosed in 2001, she battled leukemia with all her might, all the while keeping our spirits up and showing us how this battle was to be. She passed away on January 26, 2003… (just before the Super Bowl… We have always joked that she went to get a great seat… Mom, you see, was quite the football fan. Her team won that day.). Each January 26th since then, I have done something creative to honor her memory and to take back the day, the best I can. I usually do graphics or some art work all day. It reminds me of the times I’d be coloring in a coloring book (or on the wall) when I was a little girl and Mom was nearby. Always nearby. By doing graphics, working with my own photos I feel that Mom is nearby. Today, besides the graphics projects I do on this day, I made bread. Today, I made bread for my Dad and my husband… something she would have loved to do. Today, my home was scented as if my Mom was in my kitchen baking. Today, I channeled my Mom… you see, I’ve never made really good bread, let alone cinnamon rolls. Today, Mom and I made some damn good rolls.